Maldives is a premier tourist destination that comes with a horde of attractive places that makes you wonder in awe. It is known for its extensive reefs, blue lagoons and powdery white-sand beaches. Many of the nation’s attractions, may it be man-made or natural, will make your vacation an unforgettable one. What you need to do is to simply know what these attractions are and where you can find them. A good tip on what to do in Maldives is to hail a taxi. Taxis in the country are actually public ferries that link its many beautiful islands. While enjoying the relaxing ride, you can admire bright tropical fishes swimming by on pristine turquoise waters as well as picturesque sailboats and luxury yachts. You can also go underwater dining or visit the famed Ufaa. The Conrad Maldives Rangali Island resort boasts of an underwater restaurant which is placed in a glass dome that can hold 14 seats. This dome rests five meters under the sea which allows you to dine in style while admiring an abundant collection of colorful marine life. 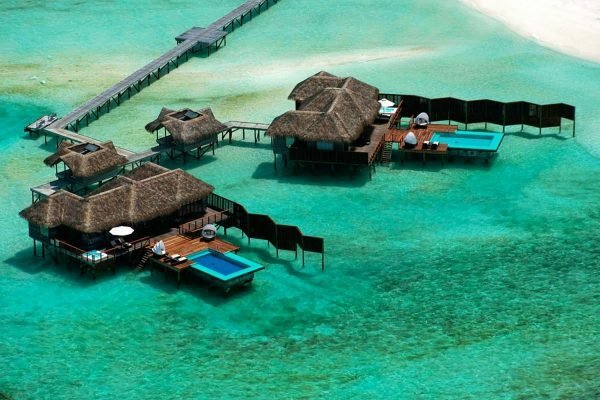 There is also another resort, the Kihavah Anantara which also comes with its very own underwater restaurant. 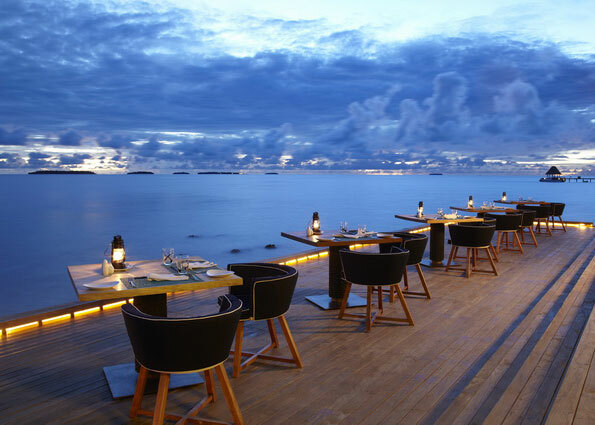 Ufaa on the other hand, is one of the top-rated restaurants which can be reached by seaplane in the southern part of Male. It boasts of a fusion of Asian-Mediterranean-Maldives cuisine which would surely make your mouth water. Aside from world-class food, you can also enjoy amazing accommodations while in Maldives. The country is home to more than a thousand islands and only 300 are inhabited, most of which come with tiny land masses. These facts allow for premier accommodations set above the water. You can relax in luxurious rooms and then dive straight into a blue lagoon just right in front of your over-the-water and lavish living room. In addition to that, many of the accommodations that line the coast come with sensational spas that have glass floors. This allows you to relax in style while enjoying the view of the sea floor where often times, colorful fishes and sharks pass by. You should have to get your hotel reservation at Reservations.com early as they can fill up very quickly. You can also head out to Shark Park. It is a shark sanctuary where you can take a night dive and see whale sharks, hammerheads and grey reef sharks. If you do not feel like swimming with these big fishes, you can always take a relaxing walk along a jetty set among the lagoons and watch over shark nurseries where little lemon sharks swim. 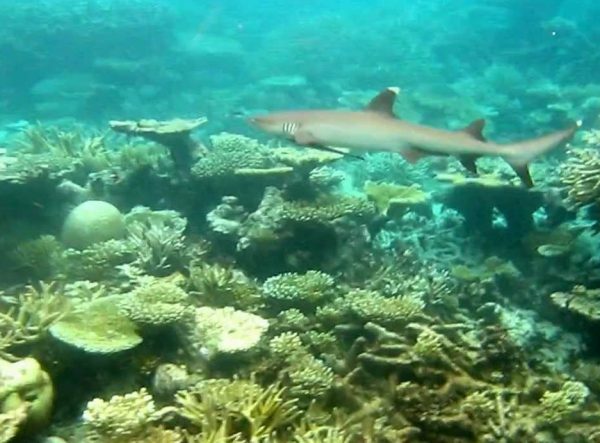 In addition to seeing baby sharks in the sanctuary, you can also enjoy an educational dive in many of the country’s amazing reefs. During these dives, expect to see more than a thousand species of fish living around colorful soft and hard corals, channels, wreck and caves. You can also stop by spots where you can spot dolphins, sea turtles and eagle and manta rays. Last but definitely not the least thing to do while in Maldives is to go spice shopping. There is a local market in Male where you can find world-class spice mixes for curries, chilies and more. You can even buy some native treats like coconut and palm sugar rolled into dried leaves. So if you plan to enjoy a grand vacation along amazing beaches touching seas bursting with marine life and experience grand gastronomical delights, then stop by Maldives.